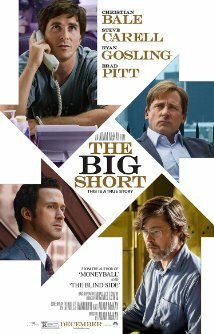 The Big Short – the movie that explains what happened with the housing market in 2008 – is now available to view locally. The link displays local movie theaters in which the movie currently plays and available times. As discussed in a recent blog, the movie discusses many of the activities that led to the bursting of the economic and housing bubble eight years ago. The movie discusses how several banks and other companies affiliated with Wall Street started to feel the effects of what happened when the housing bubble burst. The film also reflects on how the bursting of one of America’s “safest” markets affected the rest of the economy – both domestic and foreign. The movie does a great job explaining certain terms such as CDO’s and sub-prime mortgages. So, viewers will not be left in the dark. In fact, seeing this movie will help viewers have a better understanding of the cause and effect of the housing market – and will help arm you with good information for when you decide to buy or sell your own home.